has come a long way from the days when it was all about hiding children away that could not be classed as normal. Children who were in the system went from relative isolation, to integration, to inclusion and today we are moving to the point of encouraging empowerment and self determination. It has become a well established system that caters to the needs of students who have an IQ within a certain range (too high or too low) or have behavioral disorders that dictate the need for them to receive additional attention. In addition it also caters for those who have learning disabilities, speech or language impairments, mental retardation, emotional disturbance, other health impairments, multiple disabilities, hearing impairments, orthopedic impairments, autism, visual impairments, traumatic brain injury, developmental delay, deaf-blindness, etc. For further details on how the system works, read a very informative interview with a high school Head of Special Education. 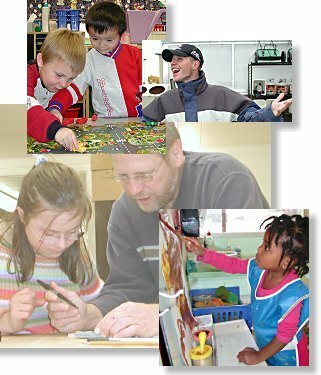 In their book Exceptional Lives: Special Education in Today's Schools, the authors (Turnbull, Turnbull, Shank, Smith and Leal) came up with several guidelines that need to be considered when dealing with people who require additional help. We are not to place limitations on students capabilities. It is always in the interest of the student to 'develop new visions of what is possible' and strive to see these visions becoming a reality. Seek to create opportunities for students to contribute positively to those close to them. This awakens a feeling of empowerment in the individuals especially if it includes their families, schools and communities. Every body has strengths, whether we know them or not. Finding out these strengths and building on them should be one of the key focuses. Another idea is often to find the weaknesses in a person and strive to turn them into strengths. It is extremely important for families and their children to know that they have the right and the opportunity to direct their own lives. They are not confined to the limitations set by anyone else, but rather they can build self-determination by acting on their own preferences. As a confidence builder and to improve their quality of life, connecting with friends, teachers and others works to achieve this. It exposes them to other people, their strengths and weaknesses and their way of life - a greay way to build their world view of life. As part of their civil rights it is important for all parties to recognize that "less able does not mean less worthy". Despite their limitations or disabilities, everyone is entitled to participate in American Life. For further details the of processes, the people who work in this amazing area, interviews and people who can help you if you need it; click on one of the links below.